Parents know the things to do keep their kids safe around home, like keeping an eye on them outside, teaching them stranger danger and to travel in groups. But what about in the virtual world? It’s shown to be just as dangerous, and if certain information gets in the wrong hands, your child, your family, and your identity could all be at risk. The Web offers a plethora of fun and educational things for kids to do, plus all the social networking that is huge for tweens and teens. But along with that comes plenty of places for danger. Just as parents need to talk to their kids about safety in the everyday real world, they also must discuss safety precautions related to the Internet, and make sure their kids get it. What can parents do? How do they start the conversation? It is important to cover the dangers – all of them – in age-appropriate language to help kids understand the dangers of giving away information online. 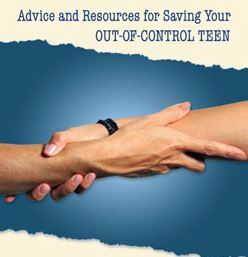 The most important thing parents can do is talk to their kids, tweens, and teens. Make sure they know the dangers that are prevalent online, whether sexual predators, those that want to steal identities and financial information, and any other type of cybercriminal. Make sure to keep lines of communication open so kids feel comfortable talking about anything relating to the Internet that bothers them. Depending on the kids’ ages, parents may have different rules. Young children should never even give out their name. Once kids get older and more into social media, reinforce the importance of careful posting and sharing – what goes on the Internet is there forever! Nothing personal should be posted or shared, like address, phone number, or credit card information. When it comes to personal information, it’s easier than most think to get other’s information. If a site looks fishy, it probably is. Parents need to make sure their kids understand to never give out personal information like credit card numbers, bank accounts, or social security numbers without parental permission, even if they are buying something. If a child sees something like “accepts credit cards” or “enter information here,” he needs to let a parent know and stop what he’s doing. Once credit card information or other personal numbers are in the hands of others, it’s tough to reverse the damage. The best rule is never give it out. Start talking about Internet safety when kids are young. Keep the computer in family areas so activity can be monitored. As kids get older, reinforce these topics. 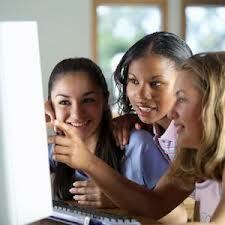 Let them know age-appropriate instances of what can happen if things like cyberbullying or credit card theft happen. Parents need to let children know that they are always available, even if mistakes are made, so they can solve things together. The bottom line is: Don’t give out information! Whether it’s social, personal, or financial, kids need to keep this to themselves. Parents should stay tuned in to not only what goes in the world of online security, but also what their kids are doing online. Awareness is key. And, parents, keep reinforcing how important it is to your kids! Facebook and Tweens: What is Age Appropriate? This is a question that has been lingering for the past couple of years. We know that kids under 13 are joining, but should they be? The brave new world of technology has expanded so far that even your grandmother may have an account on the social networking clearinghouse that is Facebook. The fact that your elderly relatives have adopted Facebook, however, doesn’t mean that your child is ready to tackle the social media giant. When your tween is pleading with you for permission to start a Facebook account and swearing that all of their friends have them, these are 10 of the reasons why you might want to stick to your guns and continue to ban the site for a few more years. Bullying – Being bullied is a devastating situation, even for teenagers and young adults, but tweens are even more likely to be overwhelmed by bullies online. Kids who aren’t victims of bullying may also find themselves joining in with the crowd picking on another youngster in the no-holds-barred world of the Internet. Exposure to Questionable Content – Even if your preteen is never approached by a sexual predator, she’s still likely to come across photos or status updates that simply aren’t age appropriate. A child who doesn’t have a Facebook account may be protected from that objectionable content for a bit longer, though. Online Predators – Sexual predators lurking online are such a problem that entire television series have been dedicated to sting operations designed to catch them. Preteens simply aren’t equipped to properly fend off approaches from predators, and may be more susceptible to their techniques than older kids. They’re Not Technically Allowed to Have Accounts – If you don’t prohibit Facebook use for your preteen for any other reason, you should consider the fact that allowing them to start an account is tantamount to telling them that it’s okay to lie. Facebook doesn’t allow users younger than 13, so your child will have to falsify her age in order to sign up. Doing so with your permission is effectively sending a message that lying is acceptable behavior if you’re lying to get something you really want. Reducing Screen Time – Between television, video games and time spent online for homework purposes, kids spend enough of their day planted in front of an electronic screen. Facebook is just another way for your child to while away the hours in sedentary activity, rather than getting outside and being active. Preserving Academic Performance – When your child is supposed to be online researching homework methods or studying for a big test, his shiny new Facebook account can be a very serious distraction. Kids so young may have difficulty controlling their impulses, and may spend far more time on the social media site than they do actually working. Protecting Your Computer from Malware – You and your teenagers may have a basic idea of how to avoid malware and spyware sent out by unscrupulous Facebook users, but your tween probably doesn’t. Keeping your child off of social media for a few more years can also be your computer’s saving grace. Because Kids Lack Adult Judgment – The fact that college students post photographs of binge drinking parties and incriminating status updates at an alarming rate is proof that young people don’t always have the best judgment when it comes to social networking. 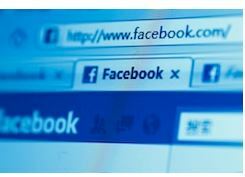 For a young child, not understanding acceptable Facebook use could lead to them sharing very sensitive personal information that later proves to be dangerous. Friends Lists Can Be Difficult to Manage – When the friend requests start rolling in, your tween will probably accept each and every one of them because it makes her feel well-liked and cool. That can give some shady characters access to her profile, something she may have trouble understanding when she’s still so young. Tech-Savvy Tweens Can Block Your Monitoring Efforts – Some preteens may have trouble avoiding malware and managing a friends list, but others will be tech-savvy enough to filter their updates and change security settings that affect what you’re able to see. Even if you think you’re monitoring your child, you may only be seeing a fraction of the things she does online. Need a great alternative to Facebook for tweens? 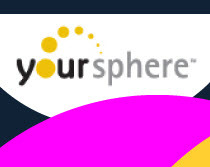 Check out Yoursphere! It is designed for that age group where safety for your child is their priority! Follow me on Twitter and join me on Facebook for more parenting and Internet safety articles. Teens can be a challenge, but they don’t have to be. While teens may initially balk at the idea of agreeing to implement a contract with their parents, getting all of your mutual rights, responsibilities and expectations on paper can make a big difference in the way that you communicate with one another. 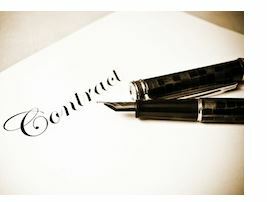 The effectiveness of a well-written contract is one of the many reasons why written agreements dictate so much in terms of professional behavior, a concept that can be applied directly to you and your teen. These are 10 of the things that you should include in your own parent-teen contract, so that there are no disputes borne of misunderstanding or miscommunication. Driving Privileges – Driving is a rite of passage, an undeniable sign to both your teen and yourself that she’s starting to grow up. Handing over those keys doesn’t mean that you’re giving her free reign to do as she pleases, though. Making sure that your teen understands driving her car is a privilege that can be taken away, rather than an unassailable right, can motivate her to behave accordingly. Outlining things like curfew, safe driving responsibilities and the financial responsibilities of driving can help your teen understand just how big of a step driving really is. Cell Phone Use – Today’s cell phone plans are a bit more flexible than the exorbitant fee charges for any calls made during peak times a decade ago, but they can still be quite expensive. In an era that sees every teen with a cell phone, laying a strong foundation regarding the proper etiquette of cell phone use, the importance of never using a cell phone as a tool for bullying and the repercussions of texting and driving is important. Staying Home Alone – Your teen will inevitably decide that she’s too old for childcare or babysitters during the period between her return from school and your arrival from work. Covering what is and is not considered acceptable behavior when she’s home alone in a section of the parent-teen contract clearly communicates these things to her. Unsupervised Visits with Friends – No matter how much you’d like to be watching over your teen every moment of the day, the truth is that you just can’t. When it’s time to trust her with unsupervised outings with her friends, knowing that you’ve discussed the matter at length and covered it in your contract can help give you some peace of mind. Dating – Few things strike fear in the heart of a parent like the idea of their teen dating. Unfortunately, it’s also an unavoidable fact of life as a parent. Making sure that your child knows what’s expected of her when she’s dating in terms of curfew, supervision and the likes can make the transition a bit easier for everyone involved. Computer and Internet Usage – The Internet is a powerful learning and research tool for teens, but it can also be a very dangerous place for them. Making sure that your teen knows how to avoid online predators, bullies and other dangers is important, but so is limiting the amount of time she spends connected to a screen. Working out a reasonable Internet and computer usage policy can help to maintain peace in your home, as well as discourage constant connectivity. Television Use – Limiting screen time is as important for teens as it is for younger children, even if it is more challenging to enforce. Encouraging active pursuits and hobbies that get your teen moving will not only impact her physical wellbeing, but also help instill good habits in terms of television use as an adult. Earning and Spending – Teens have expensive taste, a fact that parents know all too well. Outlining how your teen will earn spending money, how much of her income should be set aside for expenses and different saving methods are all important parts of teaching financial responsibility. Chores – Making your teen responsible for helping with the daily running of the household can give her an idea of just how much work goes into keeping up a home and the importance of contributing fairly. Covering those chores in the parenting contract can also prevent arguments later, as it serves as a black-and-white reference when disputes arise. House Rules – Every household has its own rules to follow, and they should be spelled out clearly for your teen in her contract. When she knows exactly what’s expected of her and what isn’t allowed, she’ll be better able to navigate the area between them with confidence. Working on the contract together will not only give your teens a sense of ownership over the agreement, but also the chance to make sure that their interests are protected. The most effective parent-teen contracts allow teens to have a voice in terms of their own rights and expectations. Try not to draw up a contract that gives your teen a laundry list of rules and no rights of her own. A contract that simply imposes rules and stifles your kids is one that they’re not likely to accept without rebellion, whereas one that outlines the needs of all involved parties is something they might be able to respect. Should You Snoop On Your Teens Online? When safety trumps privacy–parents need to know. When safety trumps privacy–yes, a parents responsibility is to be in the know! Let’s face it, our kids crave their privacy just like adults–but they are not adults. We want to give them their space, and trust them, however it is the outsiders that we worry about. Especially when it comes to virtually strangers! How to snoop on your kid when they are online? It sounds very sneaky, but their safety is always a priority. When you understand that it is not about invading their privacy as much as it is about insuring their security you will find the sense of comfort. How would you feel if your son or daughter ended up meeting a stranger offline they meet in a chatroom since you felt it was too invasive to glance into their cyber-world? Remember, you are a parent first—you have the rest of your life to be their friend. As kids approach adolescence, their need for privacy and insistence upon keeping parts of their life away from the prying eyes of a parent can make it difficult to monitor their activity. With the advent of smartphones that allow your child to carry the Internet around with him in his pocket, the need to make sure that he’s not getting into online trouble can feel even greater. While it’s usually more effective to attempt an open dialogue about what is and is not considered appropriate online behavior before resorting to spy-level surveillance, there may be times when snooping feels like the only choice. Even less than tech-savvy parents can learn to navigate parental monitoring software, which is designed to run in the background and be undetectable by users. There are several varieties of monitoring programs, all with different features and levels of functionality. One thing that they all have in common is an ability to reveal all the things your child is doing online when you’re not there to look over his shoulder. If you’ve opted not to give your child a web-capable smartphone or a laptop, then you may find it easier to snoop while he’s online if the main computer is located in a high-traffic area of your home. When your child knows that a simple glance his way could reveal questionable web content he’s viewing, he’s more likely to think twice about what he looks up. Not only will you be able to keep an eye on what your child is looking at, but you’ll also be able to influence him into making better choices based solely on your nearby presence. Older kids with more advanced computer knowledge may be savvy enough to delete their browser history, but younger kids and tweens may not yet have the required know-how. After your child uses the computer, take a moment to scroll through the browser history. You’ll be able to access all of the pages your child has recently viewed, allowing you to get a good idea of what areas need to be addressed most. If your children haven’t deleted you from their Facebook friends list yet, there’s a strong possibility that they’ve learned to manipulate the safety and security settings so that they can block what you’re able to see. One way to make sure that you’re seeing everything posted on your child’s timeline and every interaction he has is to sign up for your own fake profile and use it to add your child. Unless he’s naturally suspicious of strangers, he probably won’t block the visibility of his posts to a new friend. Every email, every message and every web search can be recalled with a keystroke recorder, along with your child’s passwords. If you have a serious reason to believe that something is wrong and you’ll need to be able to confront your child with concrete evidence to make a difference, keystroke software may be the way to go. Be warned, however, that a child who’s not actually involved in questionable activities will almost certainly feel that she has no privacy or grounds for trusting her parents. In the event of an emergency, these programs can be quite valuable tools for parents. There are ways to remotely view everything the webcam in your child’s computer sees, but it’s wise to think long and hard before resorting to such things. No invasion of privacy is as personal or as upsetting as being actively watched when you’re not aware of it. Furthermore, there are some sights a parent just doesn’t need to see. Do you want to track your child’s movements with an online GPS service connected to his phone or block content he’s able to view with the device? There are a slew of kid-monitoring apps available for smartphones that can help you keep tabs on your child when he’s away from home. These methods will help you track and monitor what your kids are doing online, but there is no app or program to replace the trust that is almost certain to be lost when your child discovers the depth of your investigation. Before resorting to underhanded means of finding out what your youngster is up to, you may want to attempt having an open, judgment-free conversation about boundaries, appropriate behavior and the implications of being careless on the Internet. Follow me on Twitter and join me on Facebook for more information articles.